Gold plated double guillotine design. GREAT CUTTER. GOOD CONSTRUCTION AND SHARP CUTS. 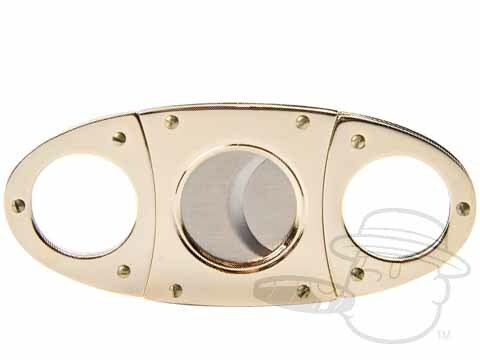 Orleans Gold Cigar Cutter is rated 4.1 out of 5 based on 3 customer ratings. Up to what ring size?